A fountain commemorates Charles Sturt`s passing by the town in his whaleboat during their Lake Alexandrina journey. The drinking fountain is no longer functional. 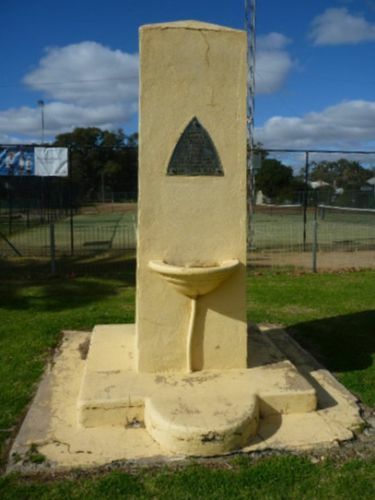 The municipal council, in conjunction with Waradgery Shire Council, has decided to erect a drinking fountain in the park as a memorial to Captain Sturt.